Córdoba is often on the Andalucía route with neighbouring Granada and Sevilla. The UNESCO listed Mezquita Cathedral Mosque is a must see monument. 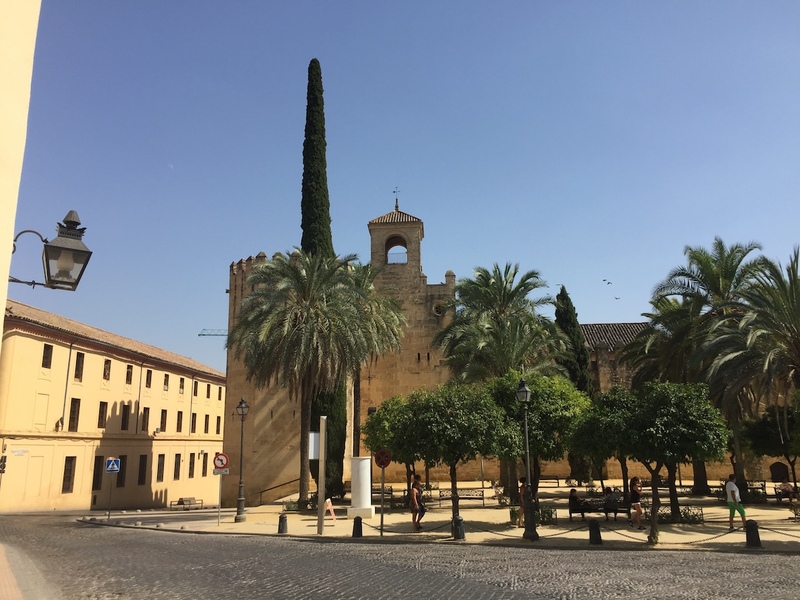 Although the historic Mosque is a breath-taking sight, there are other things worth seeing in Córdoba when you head that way. 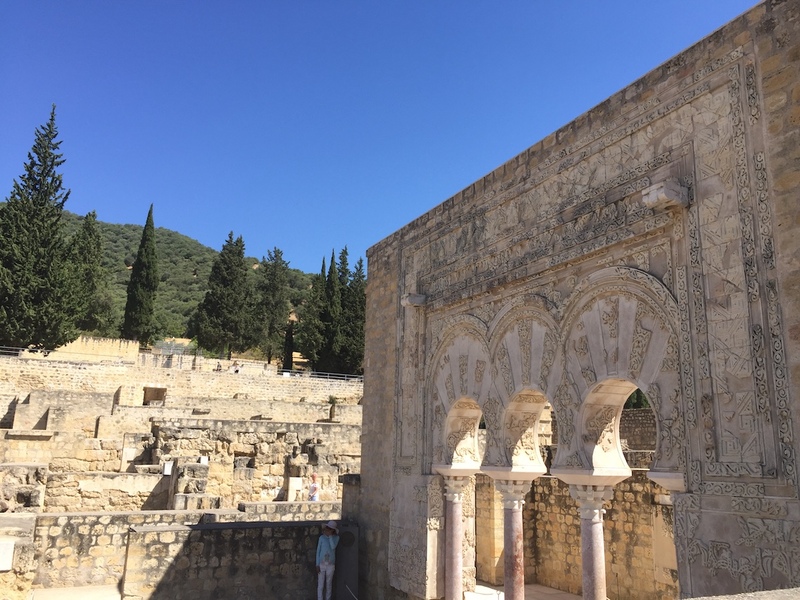 The historic Arab baths, probably the most important of their time. Located opposite the Alcazar fortress. Dating back to 11th – 12th century only parts of the original construction remain. Seeing the sunset over the city of Córdoba from the Roman Bridge is an awesome sight. The Córdoba skyline seen from the river is quite unique. Don’t miss the San Rafael statue on the middle of the bridge. 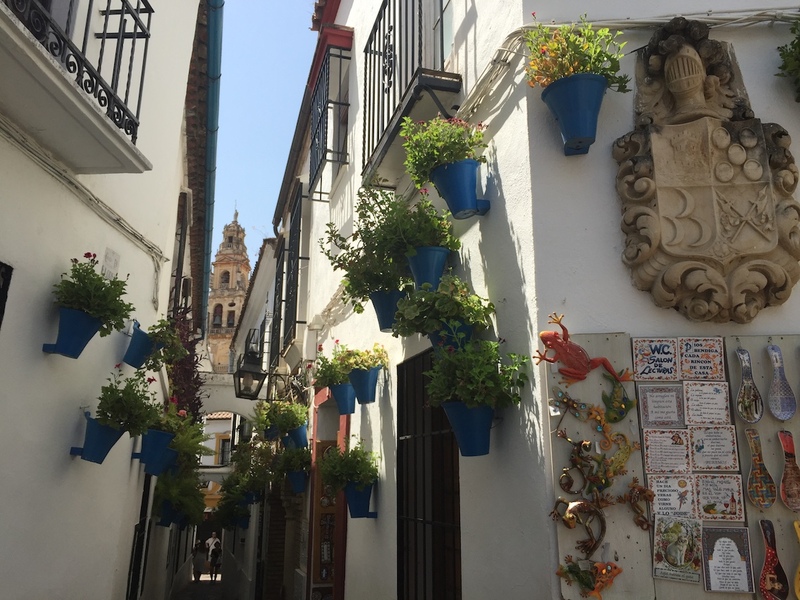 Notice the candles and flowers left by the locals to their patron saint who protects Córdoba. A citadel which was built around 940. An archaelogical site which is still being excavated now. Situated 5 kms out of the city, you can take a bus to the monument. The winding alleys of the Juderia and the Zoco are probably the most memorable places in the city. A courtyard dotted with craft stalls from local artists. Silver jewellery, Andalusian Leather, local art and ceramics. An ideal stop for souvenir shopping. Plaza del Potro is well known square due to the link with the Spanish book Don Quixote. In the story Don Quixote lodged in an inn here. Now in this square is a Fine Art Museum and some private houses and a horse topped fountain. Don´t miss the UNESCO World Heritage site the Mosque Cathedral. An impressive building due to its size, historic importance and beauty. Lined with endless columns and horseshoe archways. 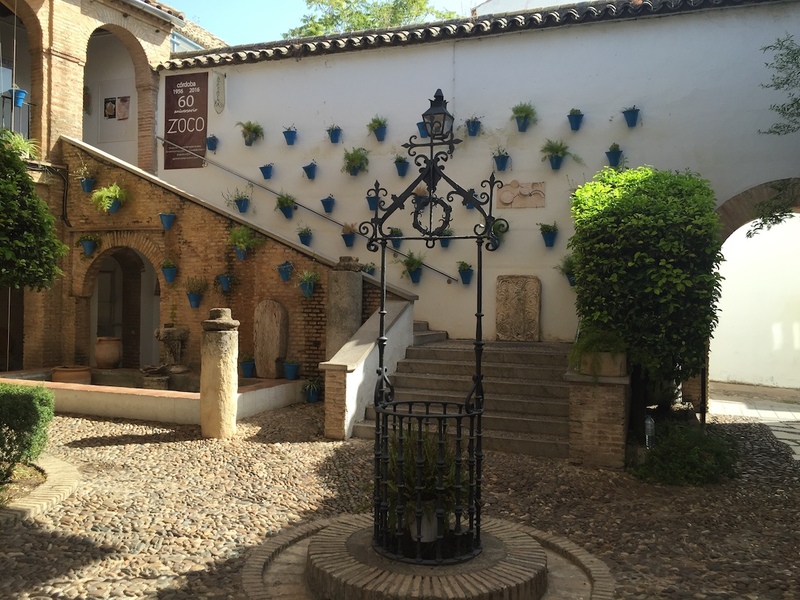 Although the Patio Festival is a popular time to visit Córdoba. On during the first two weeks in May. It is recommendable to visit the Patios del Alcazar Viejo during the rest of the year. Especially from April until September when flowers and plants are at their best. When the Patio festival arrives queues to see each one are quite long and getting a good photo can be tricky too. This historic home also has twelve pretty patios to visit. Open 10am to 7pm Tues-Saturday, it costs 8 euros to see this quaint Andalusian dwelling. The Royal Stables are next to the Alcazar de los Reyes Catolicos. They have shows on some evenings to see the Spanish horses perform. Usually on Thursday, Friday and Saturday, check availability depending on the time of year. Don´t miss typical dishes like Fried Aubergines with honey, the flamenquin which is a fried roll of pork loin and cheese, the delicious Montilla Moriles wines from the region and the great quality Olive Oil from Cordoba province. Bus – Routes with ALSA to Andalusian cities: Granada, Seville, Jaen, Malaga, Almeria.